If you are a regular reader of Kathryn’s Loves, you will know how much I adore nothing more than a good old pampering, whether it be at a spa, or in the comfort of my own home, and one brand you cannot beat for the best in pamper products, is Lush. Today I have compiled three of my favourite pampering Lush products. Lush have a variety of bath oils, with varying price points, and one I have been loving lately is the Ceridwen’s Cauldron (£5.25). I have quite dry and sensitive skin, and this oaty, milky bath melt works magic on it. 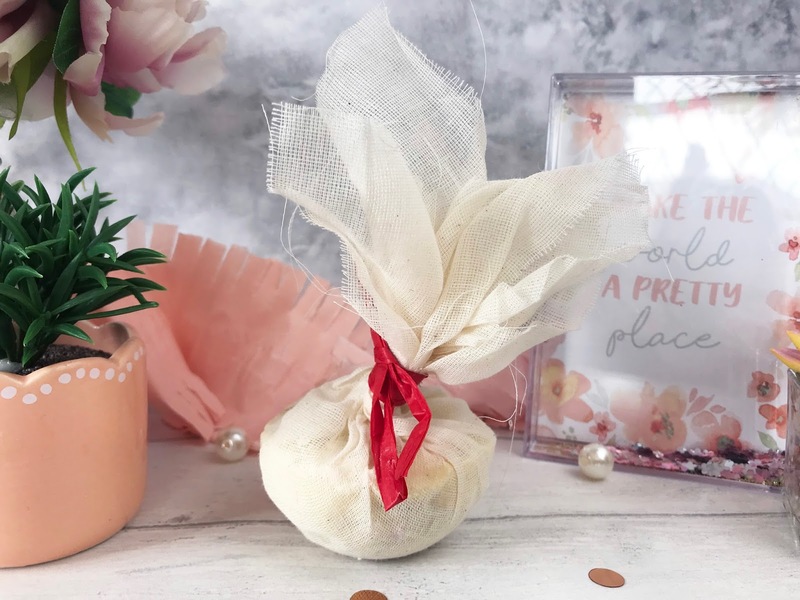 It comes wrapped in a muslin pouch and wrapped with a ribbon, and you simply pop it into your hot bath, and watch as it releases its creamy oat milk, which in turn makes the water a relaxing creamy colour. Once it has melted, you can also then use the bag as a wash cloth and enjoy the dreamy scent of frankincense, rose and sandalwood - gotta love a multi-use product! Some of the ingredients in Ceridwen’s Cauldron include Whole Oats which are great for soothing the skin and is used as an anti-inflammatory, Fair Trade Organic Cocoa Butter, which softens and conditions the skin, Rose Absolute to balance and restore both body and mind, and Sandalwood Oil which is known for its ability to uplift and soothe. One of my forever favourites from Lush is the Twilight Bath Bomb, as it is all about ensuring you get a good night’s sleep. 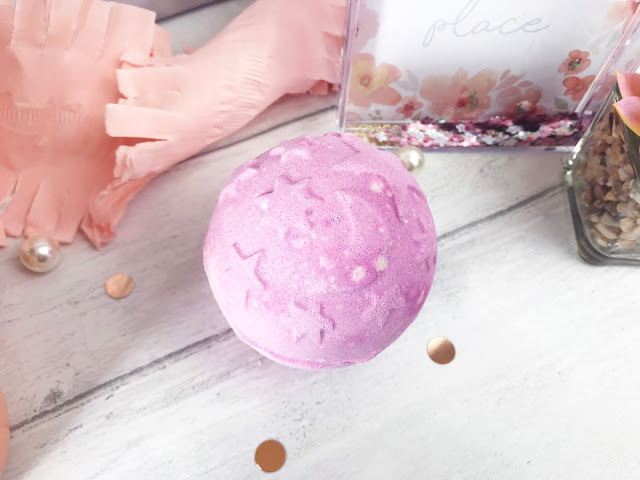 Whether you are restless in bed, you suffer from anxiety, you are going through a stressful time in your life, or if you simply cannot sleep, then this is the bath bomb for you. The combination of essential oils in Twilight will help you get ready for a good night’s rest. As with all bath bombs, you simply drop it into hot water and watch as it dissolves, turning from the colour of the setting sun and getting darker, turning your bath into a magical, mystical shimmering deep purple. The fragrance of Twilight has been designed to help you sleep, with lavender to soothe, calm the senses and clear the mind, which is also used in aromatherapy to treat insomnia and aid restful sleep, while benzoin and tonka smell much like your favourite bed time warm malt drink. 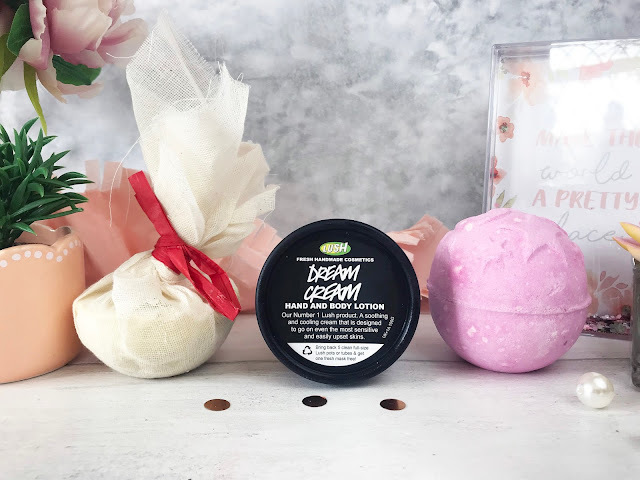 I had heard so many good reviews about Lush’s Dream Cream that I knew I had to try it! It is essentially a hand and body lotion, but yet so much more than that. 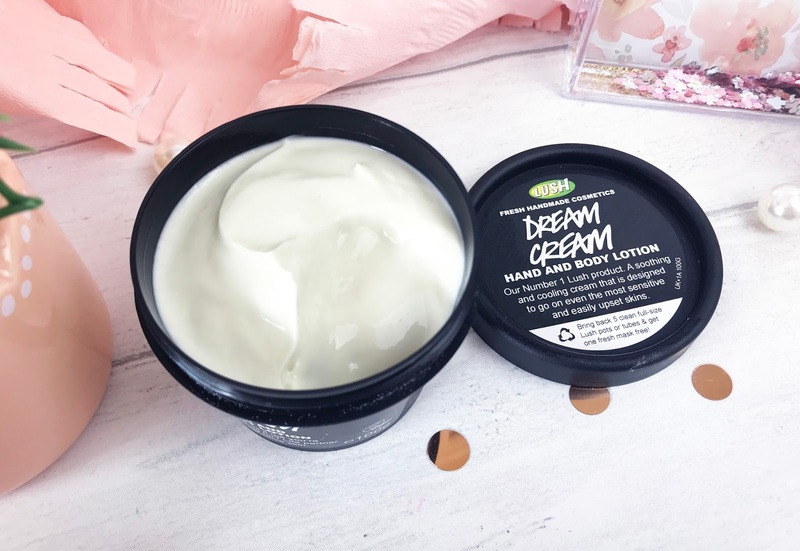 Dream Cream is a light and cooling moisturiser which easily absorbs into the skin, so there’s no need to wait ages before popping your pyjamas on. It has a combination of calming chamomile, organic extra virgin olive oil and creamy Fair Trade organic cocoa butter which instantly soothes and softens the skin. You can apply Dream Cream all over the body and it has a fragrance of lavender and Turkish Rose to give the mind and body a feeling of tranquility. Due to the calming properties of this lotion, I do tend to only apply it in the evening, usually after a bath, and I find that I wake up to super smooth and soft skin, even though I have quite dry, sensitive skin, I find that Dream Cream does the trick and I don’t seem to suffer from any irritation. You can find these gorgeous Lush products and so much more instore and online at Lush.